What events are happening this week across the United Wrestling Network? Take a look! 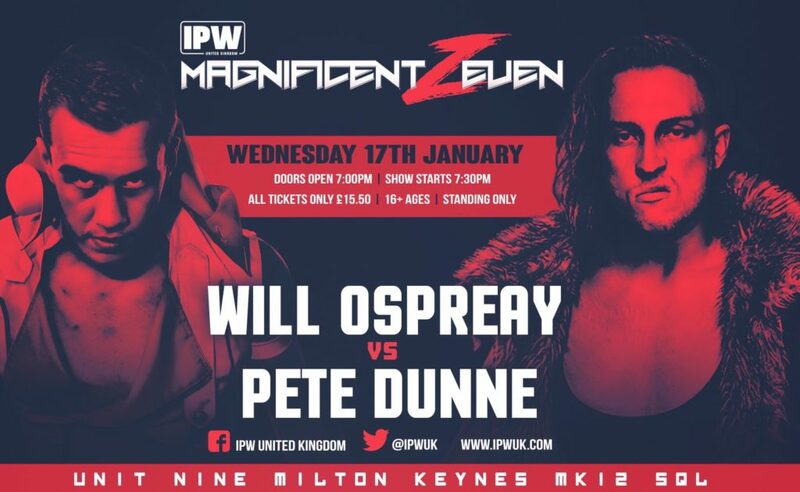 History will be made as the WWE United Kingdom Champion Pete Dunne takes on the IWGP Junior Heavyweight Champion Will Ospreay. Also featured on this event is the Z-Force Championship bout as well as The Collective vs. Jimmy Havoc and Sid Scala. 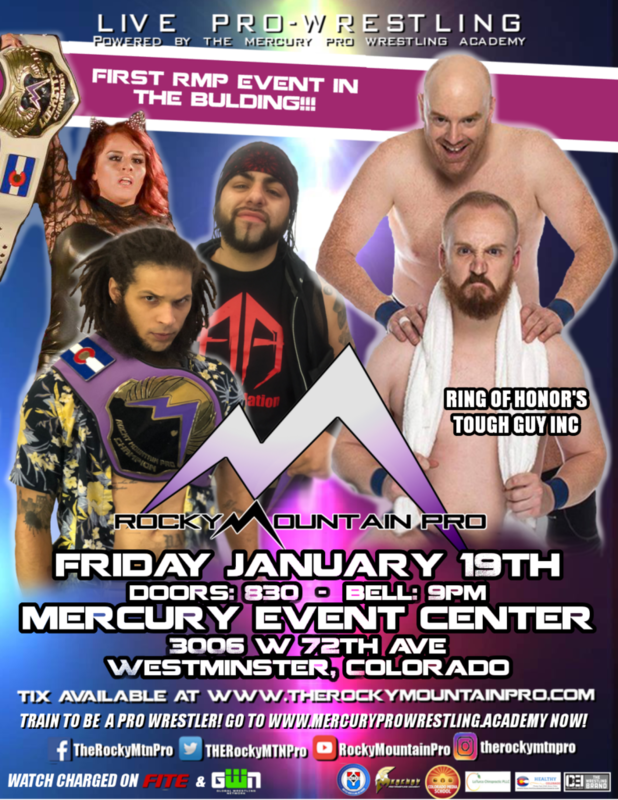 January 19 Rocky Mountain Pro live at the Mercury Event Center. 9pm Belltime. The last stop before “New Years Revolution,” this event will feature Ring of Honor’s Tough Guy Inc as well as all of your favorites from Rocky Mountain Pro! 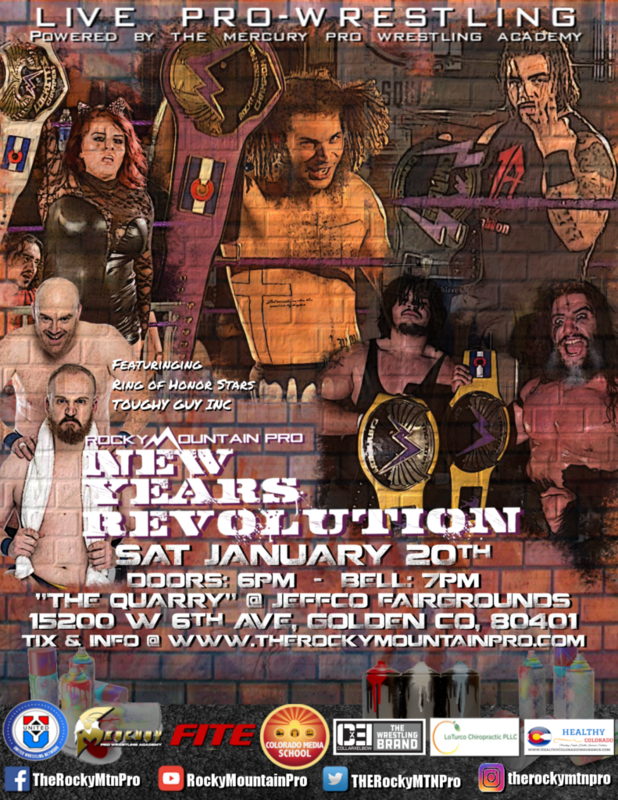 January 20 Rocky Mountain Pro “New Years Revolution” at “The Quarry” at Jefferson Co. Fairgrounds. 6pm Belltime. Every title in Rocky Mountain Pro will be on the line, plus Tough Guy Inc and more! 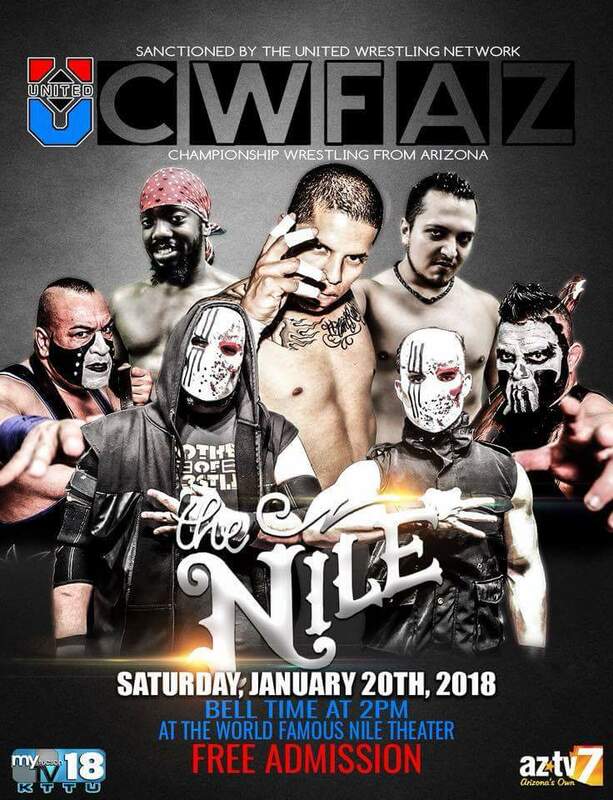 January 20 Championship Wrestling From Arizona Televison Event at the Nile Theater. 2pm Belltime. The Arizona State Champion Gino Rivera struts into Mesa to say he “told you so.” This event will also feature the debut of Karl Fredericks and the return of Arizona favorite, Suede Thompson. With new events to come every week, keep your eyes peeled for more from the United Wrestling Network.